Provided enough room, an HD projector can deliver a theater-like experience right in your own home. Some 4K projectors can be prohibitively expensive, like the amazing Sony VPLVW365ES that will nonetheless set you back $8,000. Fortunately, there are cheaper alternatives for the rest of us. 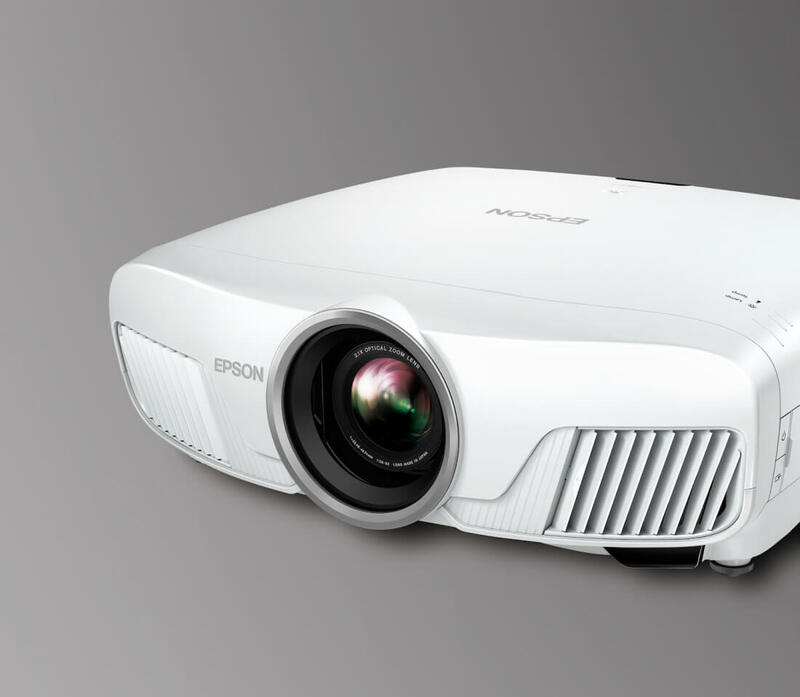 Today Epson unveiled its Home Cinema 4000 projector that will retail for around $2,200. Even though it is about a quarter of the cost, the spec sheet of Epson’s new projector is comparable and in some instances exceed Sony’s offering. For example, Sony’s projector produces color and white brightness of 1,500 lumens while Epson’s Home Cinema 4000 is advertised to output up to 2,200 lumens resulting in a wider range of screen projection capabilities. The HC 4000 can project images between 50 and 300 inches wide. Sony’s is only advertised to 42-167 inches. However beware that projectors' spec sheets can be the marketing equivalent of cameras' megapixel race of yesteryear. In fact this and all other budget 4K projectors are not "true 4k", but rely on pixel shifting, a method of overlapping pixels and splitting 4K content into two 1080p images to produce the equivalent of twice the resolution of 1080p. The result is great, especially for the price, but purists will correctly argue that this is not the same as displaying 3840×2160 discreet pixels on screen. Epson calls its take on pixel shifting '4K Enhancement' or 4Ke for short. The Home Cinema 4000 can be set on a pedestal or mounted to the ceiling. For lifelike and vibrant colors the Home Cinema 4000 combines full HDR10 (10-bit color) with a broad color gamut that is compliant with the film industry’s "DCI-P3 color space" projection standard. Adding to the detail provided by the projector is a contrast ratio of 140,000:1. A motorized lens has 10 presets for total lens control. From 2.1x zoom to ultra wide lens shift, the HC 4000 has you covered. Powered focus ensures a clear picture regardless of projection distance. Driving the whole thing is 3LCD technology. The projector provides two HDMI ports, USB, VGA, and RS-232c inputs. You can pick up the Home Cinema 4000 starting today from the Epson online store.